Police in Norwell, Massachusetts asked residents to avoid a neighborhood Wednesday afternoon due to what they described only as an "active situation." The situation unfolded on Farrah Farm Road at about 4 p.m. It's unclear what the situation involved. 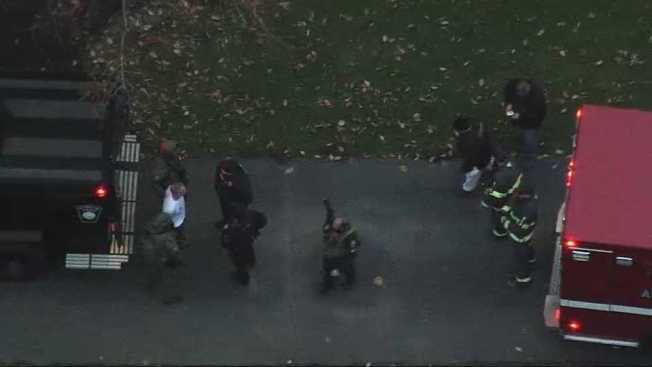 Aerial footage from NBC10 Boston's Sky Ranger helicopter showed a man apparently being taken into custody by police.